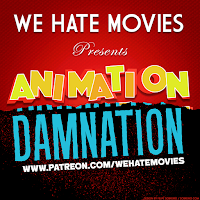 On this month's special Animation Damnation, the gang is chatting about the beloved Peanuts classic, A Charlie Brown Thanksgiving! Premiering on November 20th, 1973, this special includes beloved holiday elements like—OOPS! This show is for patrons only! To access the full episode, head on over to our Patreon page and subscribe!